The RSA306B offers full-featured spectrum analysis and deep signal analysis at a price unmatched by any previous offering. Using the latest in commercial interfaces and available computing power, the RSA306B separates signal acquisition from measurement, dramatically lowering the cost of instrument hardware. Data analysis, storage and replay is performed on your personal computer, tablet or laptop. Managing the PC separately from the acquisition hardware makes computer upgrades easy, and minimizes IT management issues. 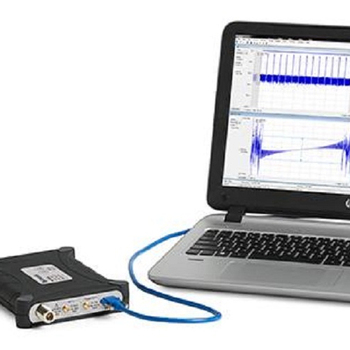 The RSA306B operates with SignalVu-PC, a powerful program that is the basis of Tektronix performance signal analyzers. SignalVu-PC offers a deep analysis capability previously unavailable in value-priced solutions. Real-time processing of the DPX spectrum/spectrogram is enabled in your PC, further reducing the cost of hardware. Customers who need programmatic access to the instrument can choose either the SignalVu-PC programmatic interface or use the included application programming interface (API) that provides a rich set of commands and measurements. A MATLAB driver for the API is available, enabling operation with MATLAB and the Instrument Control Toolbox. 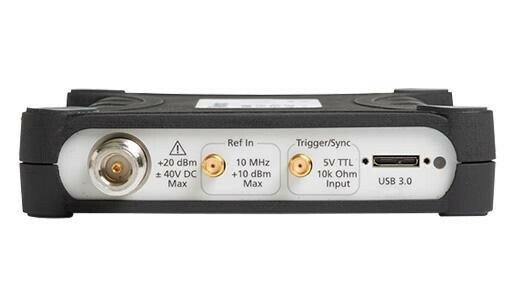 DataVu-PC software can control two spectrum analyzers simultaneously with independent settings. This allows you to monitor a wide span, while recording at up to 40 MHz bandwidth at any frequency in the range of the instrument. 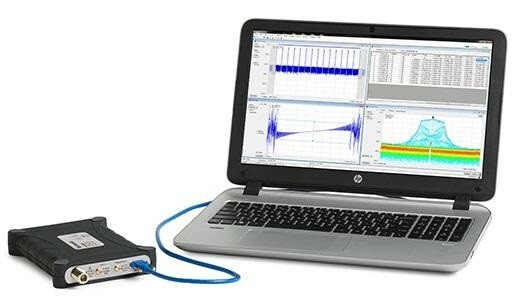 Once recorded, DataVu-PC can find and mark signals of interest based on amplitude and frequency-mask characteristics, eliminating the need for manual inspection of long recordings. Pulse measurements are available on up to 2,000,000 pulses.